Now that the New Year is in full swing, it’s tough to not think about what’s next…and, that means Valentine’s Day, of course! Whether you’re celebrating a lifetime together or you just met your honey, getting snuggly on Valentine’s is a must. Put some pep in this year’s Valentine’s routine with a hot night at home or even something totally out of the norm. Need some ideas? Here’s a look at some of the best Valentine’s Day date nights out there. Get hot (and steamy) in the kitchen! Nothing says I love you like a homemade meal, especially when it’s a favorite of your significant other. Develop the menu specifically with your better half in mind – hitting all the sweet spots when it comes to faves. How about letting out your inner athlete…together! Throw some ice skates on or break out the cross-country skis, it’s time to get your heart rates up and your sweat on. Enjoy a relaxing massage or beautiful dinner after you’ve burned some serious calories. Bust out your best lingerie. It’s not every night of the week that the skimpy lingerie makes an appearance, so why not make that added effort on the big Vday. It might not be your warm cozy flannels – but show some skin for your partner this year. Trust cupid on this one – it will not disappoint. Been totally stressed and focused on work, home or kiddos lately? Book a couples massage for a whole hour – just the two of you in your most relaxed and mellow state. Sharing an intimate experience like this will definitely leave you feeling relaxed and romanced to the max. Got a little extra time to spare? Grab dessert and drinks afterward to sweeten the occasion. Dig deep into your creative spirit to jot down the words that will tell your partner just how much you care. Whether it’s a simple note, letter or even a poem, taking the time to put pen to paper means so much and those words can be savored for years to come. Make your words the highlight of your dinner date when you have it waiting on the table at the restaurant – with flowers, of course! Go back to the place it all began. Take your sweetie back to the spot where you had your first date to recreate those special memories. Can’t make it back to that spot – recreate the experience in your home or somewhere close by! Make your house super romantic. 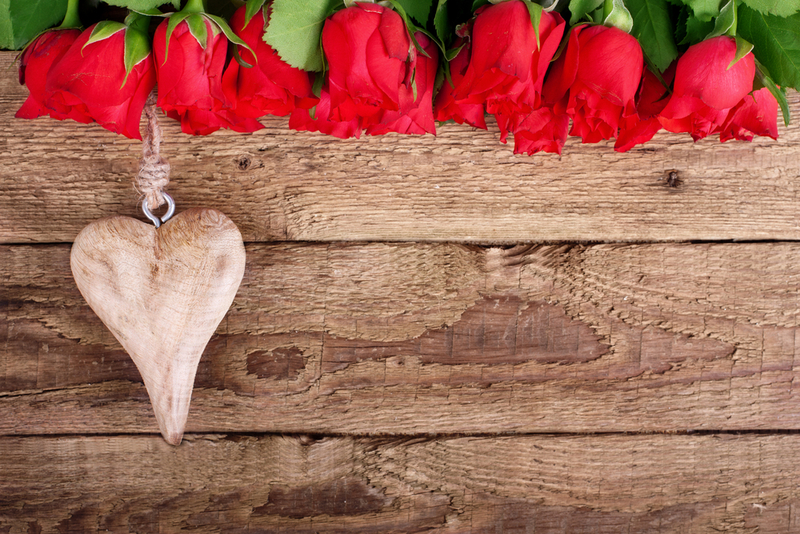 We all know it’s every girl’s dream to come home to a house full of rose petals and lit candles – so why not make it happen? Go for a night away. Can’t pull off a full vacay during Valentine’s week – that’s OK. One sweet night away (even if it’s just down the street!) at a fancy hotel will feel like the full on prince and princess treatment. Stay in the room all night long, just enjoying one another’s company. How special is that? What’s your dream Valentine’s date night?